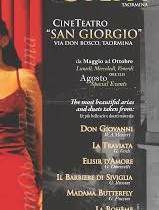 Just 5 Minutes walk from Hotel Villa Schuler, at the Cineteatro San Giorgio, you can enjoy Italian Opera Arias and Duetts from operas such as Don Giovanni by Wolfgang Amadeus Mozart, La Traviata by Giuseppe Verdi, Madame Butterfly, Tosca, and La Bohème by Giacomo Puccini, Il Barbiere di Siviglia by Gioachino Rossini and Elisir d’Amore by Gaetano Donizetti, interpreted – with piano accompaniment – by singers who have performed at important Italian and international opera houses. Every performance the program will be different, sometimes the company adds also traditional songs from Naples and Sicily, sometimes Jazz or Tango classics. So if you stay longer in Taormina you can also enjoy two or more of these charming evenings. During a short break the company offers a drink on the panoramic terrace of the theatre. Artistic director is the Sicilian soprano Silvia Di Falco. MAY 2018 SPECIAL EVENTS each Saturday at 21.15 h.
Admission fee: 20 Euro, drink included. 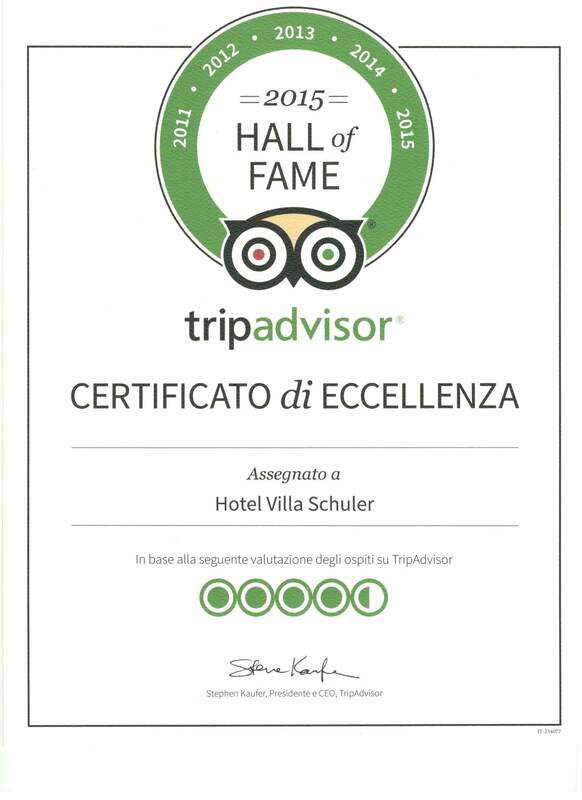 More Information, weekly program, reservations and tickets at our Hotel Villa Schuler reception desk.